New technologies will be changing the approach to dealing with DUIs in the coming years. Drivers will have better ways to monitor their own blood alcohol levels, and the vehicles they drive could come equipped to prevent them from driving if they’ve overindulged. Meanwhile lawmakers and law enforcement officers may gain at least one new tool to help them detect DUI drivers and get them off the road. Technology has come to the rescue. Several companies are already marketing breathalyzers for consumers that work (with some plug-in device) with cell phone and tablet apps. Brands include BACtrack, AlcoHawk, Breathometer Breeze and more. While some news reports have questioned their reliability, the devices and their BAC readings are likely to become more accurate over time. If the use of this technology becomes widespread, people who truly believed they were sober enough to drive—but weren’t–could be spared the ignominy of a DUI arrest. Want something a little more discreet? How about a BAC detector that comes in the form of a temporary tattoo? Engineers from the University of California, San Diego, have developed an experimental sensor that can accurately measure the blood alcohol content in your sweat and then send the results to your mobile phone, your laptop or your tablet. The temporary tattoo includes a sensor that sticks to the skin to induce perspiration and a portable flexible electronic circuit board that is connected to the tattoo by a magnet. The BAC readings travel to the portable device via a Bluetooth connection. “This technology provides an accurate, convenient and quick way to monitor alcohol consumption to help prevent people from driving while intoxicated. The device could be integrated with a car’s alcohol ignition interlocks, or friends could use it to check up on each other before handing over the car keys,” said nanoengineering professor Joseph Wang in a press release. He and electrical engineering professor Patrick Mercier were the main researchers for the project, which was funded in part by the National Institute of Biomedical Imaging and Bioengineering of the National Institutes of Health and the USC Sand Diego Center for Wearable Sensors. The researchers tested the alcohol sensor on nine healthy volunteers who wore the tattoo on their arms before and after consuming an alcoholic beverage, either a bottle of beer or glass of red wine. The readouts accurately reflected the wearers’ BACs. 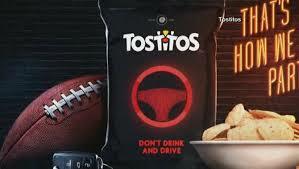 One of the more unusual DIY blood alcohol detectors was the limited-edition Tostitos bag alcohol detector, released specifically for Super Bowl 2017 by Frito-Lay. When a person breathed into the bag, an embedded sensor could detect small levels of alcohol. The sensor didn’t measure BAC, just whether or not the person breathing into the bag had consumed any alcohol at all. If the sensor got a positive reading, the green circle on the front of the bag turned red and a message “Don’t drink and drive” appeared. The sensor also featured near-field communications technology, so if a person gets the red circle they could tap the bag with their cell phones to get connected to Uber. They also got $10 off their Uber ride that day. While this technology was rudimentary, it does open up the possibilities of future BAC monitors built into everyday consumables or other objects. Making vehicles part of DUI prevention? Studies have shown that in-car breathalyzers (i.e. ignition interlock devices) can significantly reduce the number of alcohol-related vehicle deaths. That has spurred policy wonks, lawmakers, government officials and anti-DUI activists to push for a requirement that all vehicles come with technology that prevents anyone from driving if they’re under the influence. The U.S. Department of Transportation’s National Highway Traffic Safety Administration, in conjunction with the Automotive Coalition for Traffic Safety, has been investigating this issue since 2008. It has narrowed down its research to two types of Driver Alcohol Detection System for Safety (DADSS). One is a breath-based system that would unobtrusively measure the alcohol level in a driver’s naturally exhaled breath. The other is a touch-based system that measure a driver’s BAC by shining infrared light through the fingertips. Engineers are incorporating prototypes of both systems into vehicles for field tests to see how well they work in real-life scenarios. Automakers are doing their part as well. On its website, Nissan reports on a concept car that it is developing that includes multiple DUI-prevention features. The company has designed the vehicle to detect the driver’s condition and to “set the driver free from manual operation” if he/she should not be driving because of alcohol. The prototype has a high-sensitivity alcohol sensor built into the transmission shift know, which can detect the presence of alcohol in the perspiration of a driver’s palm. If the system determines that the alcohol level is too high, it automatically locks the transmission and issues an alert via the car’s navigation system. The Nissan prototype will also include a camera that will monitor a driver’s face—specifically his/her state of consciousness—by measuring eye blinks. If the system detects signs of drowsiness, the navigation will send out a voice and message alert via the navigation system. If that’s not enough to get the driver’s attention, the seatbelt mechanism will tighten around him or her. The vehicle will also monitor the driver’s performance, looking for behaviors that indicate inattentiveness or distraction and sending the drivers alerts if they find them. If the vehicle drifts out of the driving lane, for example, the navigation system will send out a voice alert and the seatbelt will tighten around the driver. Motorists may want to take advantage of this new vehicle technology to avoid DUIs, because law enforcement might one day be able to employ a powerful laser to assist them in getting inebriated drivers off the road. Back in 2014, scientists in Poland announced that they had developed a laser that can detect alcohol vapors in vehicles from a distance as far as 65 feet away. If scientists can adapt that technology to the real world, police officers could sit by the side of the road and shine the laser into passing vehicles. The presence of alcohol vapor in the vehicle’s cabin would cause subtle changes in the laser beam, alerting police that they might want to take a closer look at the driver of that car. Of course, researchers would have to resolve several problems before law enforcement could actually employ the laser to catch DUI drivers. For one thing, as it now stands, the laser has no way of distinguishing between alcohol vapors exhaled by the driver and those exhaled by passengers. (Imagine how you’d feel if you were serving as designated driver and got pulled over by police because your passengers had been drinking!) Drivers, especially those in warmer climates, would have a relatively easy way of defeating the device. All they would need to do is keep the windows of the vehicle open as they drive so the alcohol vapors don’t accumulate. In addition, the laser beam’s detection system doesn’t work properly when the vehicle’s owner has installed solar screens or coatings on a vehicle’s windows. But there may be ways around these problems. Some researchers have suggested that the technology could be expanded to detect changes caused by vapors from other chemical compounds such as marijuana. That would allow them to arrest drivers for an even greater range of DUIs.